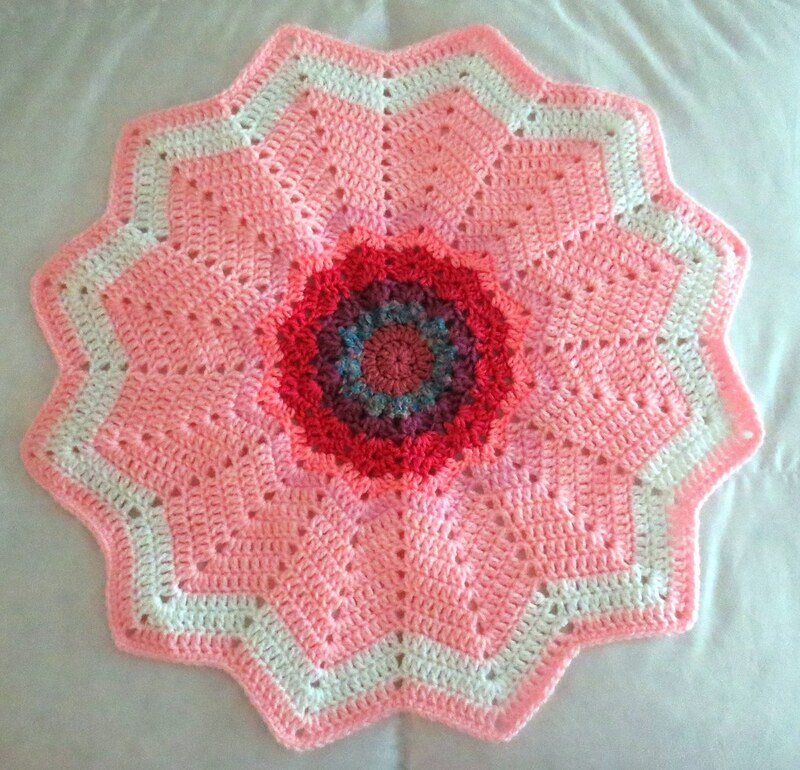 The centers were crocheted just using up scraps of yarn I had on hand. 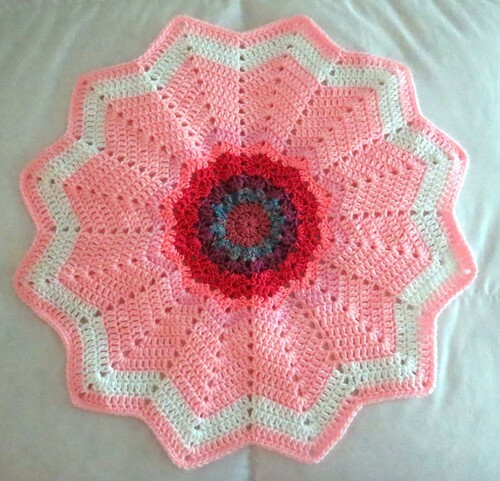 Then I used pink and white Red Heart yarns on the first one that measures 24 inches wide. 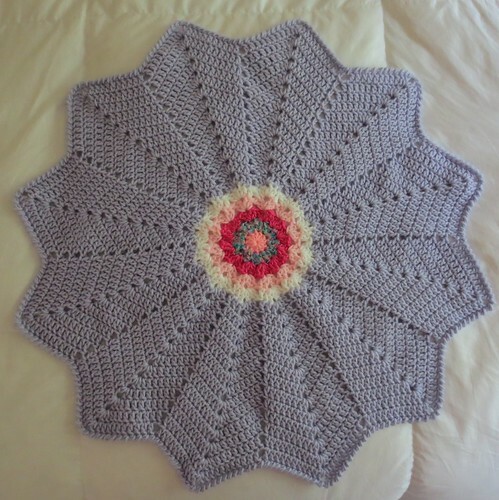 The 2nd round ripple blanket was crocheted using the leftover of a Caron pounder in lilac color. It measures 26 inches wide. If you love crocheting or knitting for babies, consider joining us over at Crochetville as we’d love to have more people making blankets for this year’s drive.